SAX-O-PHILM is a unique concert presentation by Broadway saxophonist Chad Smith. It remembers the music and times of legendary saxophonist Rudy Wiedoeft. 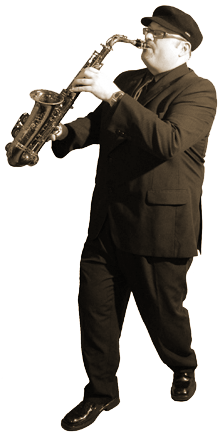 SAX-O-PHILM: Sounds & Sights of the 20’s is a visually exctiting, entertaining, and educational concert event unlike any other.